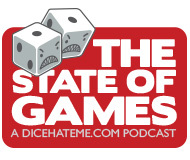 For the past four years, I’ve had the pleasure of hosting a booth for Dice Hate Me Games at the Origins Game Fair in Columbus, Ohio. During that time I’ve learned a lot, met many wonderful people, and introduced even more to the joys and wonders of DHMG titles. It’s a wonderful convention in which I can both run a booth and still have time to talk to convention-goers, fans, designers and publishers. 2015 was a great year at Origins, and I hope to be able to do the same for many years to come! 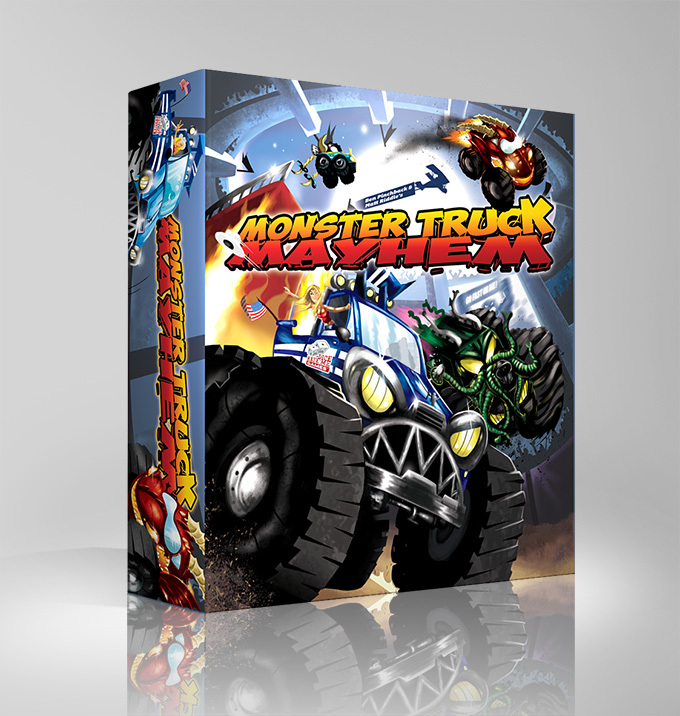 Monster Truck Mayhem is now on Kickstarter! Help us bring the joy, excitement and adrenaline rush of monster truck racing to your tabletop! Guaranteed to please every crowd, Monster Truck Mayhem is now ready to rush into your home – just a small pledge of $39 will buy you a seat, but you’ll only need the edge Edge EDGE! The Board Room tables actually were covered by the weekend. It required a bit of back-and-forth with GAMA over the first couple of days of the con but we did get that done. As far as providing the Board Room at no cost, the charge for the Board Room ribbon (and the requirement for said ribbon) is established by GAMA. CABS does not receive financial compensation for the Board Room beyond reimbursement for the costs associated with providing that service (such as the moving truck to get the library cabinets to the con, volunteer badges, etc.) I doubt GAMA is interested in just eating those costs without getting something back in return, and the way they’ve chosen to do that is by selling ribbons for access. 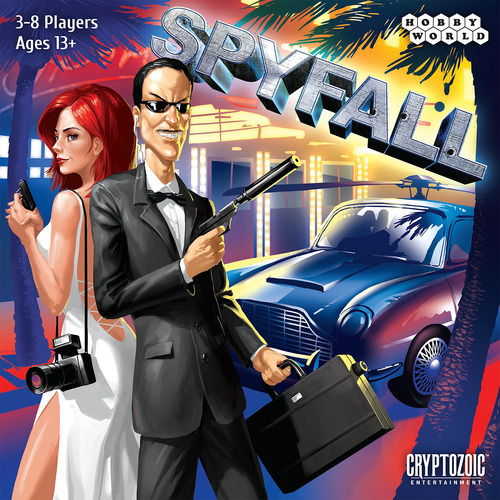 And while it’s true that the bulk of the library consists of donations, CABS also has a budget for game purchases as there are several publishers who simply refuse to donate games to us. This budget comes primarily from our club memberships and registrations for our own annual convention, Buckeye Game Fest. Thanks for the clarifications! It’s good to know that the BR tables were covered, and probably will be in the future. We assumed that some of the costs associated with the Board Game Ribbon might get back to CABS in some capicity, and that’s great to hear. I can speak for all of us in saying that we think the library is a valuable resource at Origins, and more than glad it’s available for gamers. Thanks for commenting!